Well today I got to make one of my favourite styles of card a clean and simple with lots of white space and minimal embellishments. This is my favourite style as I post a lot of my cards and here in the uk posting bulkier items costs more now. 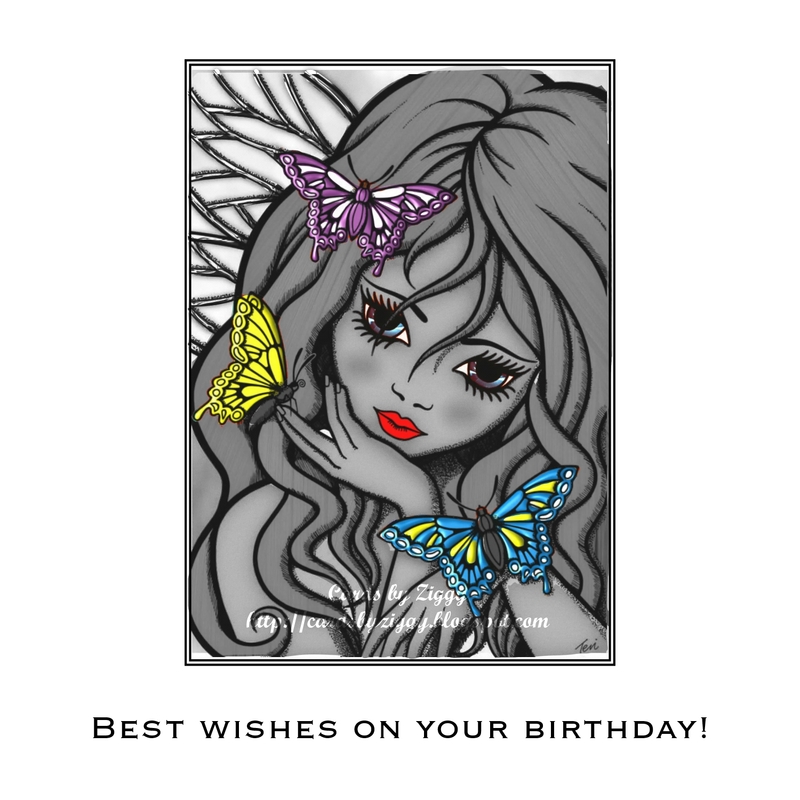 I have used a delicious doodle digi stamp to create the card, but as I didn't want to add any embellishments to the card I made the focal image black and white and only coloured selected areas to really make them stand out. Thank you I am pleased with how it turned out. 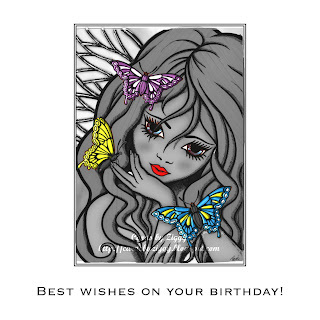 What a great Card such a great colour combination, thank you for joining us at Artistic Inspiration.